SKYRIM – as I’m sure you are aware – is Bethesda’s latest entry to the Elder Scrolls series, taking the open-world and freedom from the previous titles and making it bigger and better than ever before in this epic adventure title, with dragons. There won’t be any spoilers here, mostly because there is too much other stuff in Skyrim to talk about and, while the main story is interesting, you will likely get caught up doing something else. The general idea of the story is that dragons are returning at the same time that you have popped up, so you have to find out why. 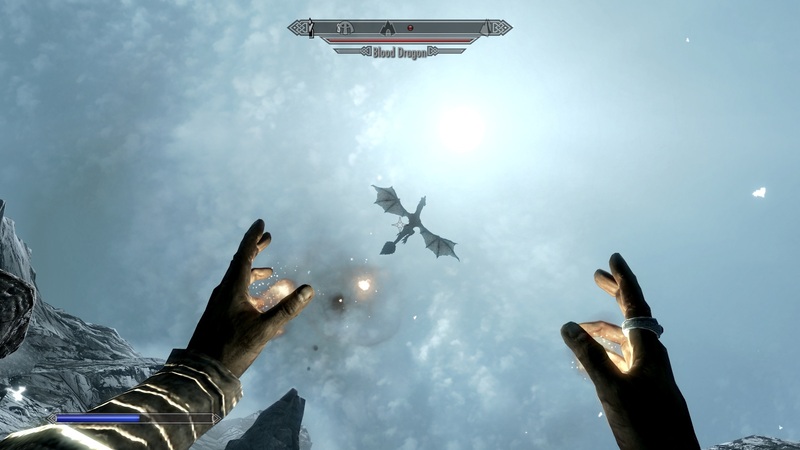 In Skyrim, you are dragonborn, meaning you were born with the soul of a dragon, and so you eat other dragon’s souls and use them to learn powerful dragon shouts. The more you complete of the main story, the more dragons will appear, and they won’t appear in the game until you do a small part of the main story which introduces you to the world, and you learn what your place is in it. Like many other people, I didn’t bother following the main story for a while and only came back to it so I could kill the first storyline dragon so more would start popping up. After you leave the obligatory opening sequence, you can follow one of two people from two factions, one from the Imperial army, and one from the rebel Stormcloaks. So, completely oblivion to the helpful people, I walked off in a different direction in search of epic loot! Although the loot isn’t really that interesting at this level, you won’t mind, because it’s fun to adventure and make your own story. This is what makes the open-world RPG a great genre, and Bethesda does it best, time and time again. The Elder Scrolls is a series that drags you into the game with immersion and lore. If you get into it, you’re going to really get into it. However, if you’re not that into the series (assumedly because you’re in some sort of cult that is against video-games. And puppies), then you are probably still going to be able to find yourself having fun in the world. The combat is fun and exciting with the dual-wielding mechanics, being able to quickly swap between magic and weapons and mixing between them for a unique fighting style. 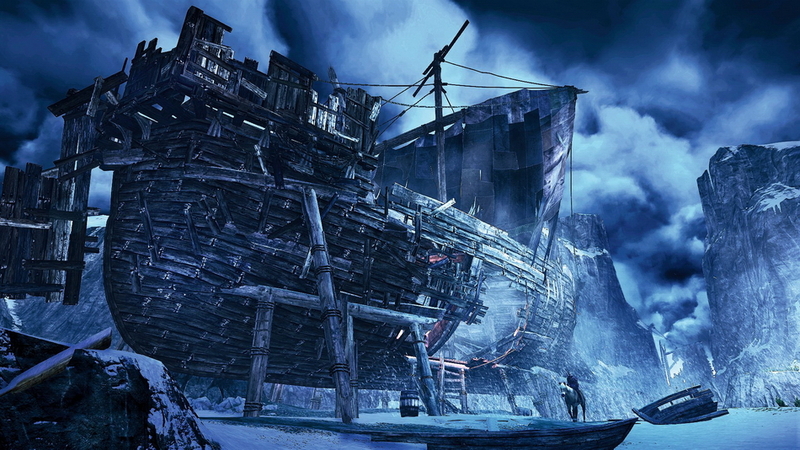 Overall, the main problem with the game is the UI, which many people and critics have been complaining about. It is good, with scrolling down the menus to find the right category and then choosing an item, but it sometimes doesn’t work when you click rather than scroll or if your mouse is hovering over one option and you try scrolling to another. This is unfortunate and can be very annoying when you want to choose one dialogue option, and the game picks another over a technical fault, however it is better than the usual ‘press I and click’. What really sells the Elder Scrolls games (and Skyrim in particular) is the open-world and freedom you get. There’s a main story, which isn’t overly long itself and is as you would expect, a set chain of quests that take you from A to B, to do all sorts of things which, while interesting, you could be doing a whole lot more in the world. As well as the main quests, you also have four guilds for different types of character, not something new to the Elder Scrolls, but they do succeed in keeping it fresh. In Skyrim, the Fighters Guild from Oblivion has been renamed the Companions, and the Mages Guild is now the College of Winterhold. While name changes may not seem that big, it does make a difference with gameplay, especially with the Mages Guild as it is no longer a guild, it’s a school. Each of these ‘guilds’ have their own chain of quests, as well as their own group of people that you will become familiar with and that you can help out with their own things. As well as the guilds, you have misc. quests, which are all over the place. You can walk into a new town and, chances are, the first person you talk to will have a quest that needs doing. Bethesda said that they stopped counting how long the game really was after they were going well past 300-hours, and I never thought this would be too over-exaggerated, but after playing the game, you can be sure that it’s not exaggerated. Skyrim is truly as good as the hype that has been building up to it. It’s a massive world with a reasonable storyline and so much to do outside of the main quests that you won’t care if you finish it, because you can find plenty more reasons to keep playing. Plus, the gameplay is fun, with lots of interesting loot and items to play with, decent enough mechanics for creating your own items when the crap you find isn’t good enough, and when you’ve finished messing around with saving the world and whatnot you can take a break from adventuring and settle down, get married. In Solar 2, you start out as a small asteroid and get bigger by bumping into other asteroids and absorbing them, and keep growing until you inevitably destroy all of existence, forcing the Big Bang 2. It’s like that game ‘Fish’, if when you got big enough in Fish you blew up and killed all the other fish. When you absorb enough, you grow into a small planet which can only absorb things by pulling them into your orbit and then you absorb them. This changes how you play, as you can easily be destroyed and can’t afford to be reckless.